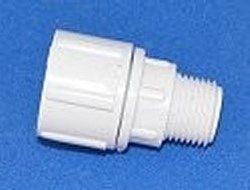 3/4" Female Garden Hose swivel by 1/2" MPT. 150psi rating. White. Replacement for items 534-005 which has been discontinued.